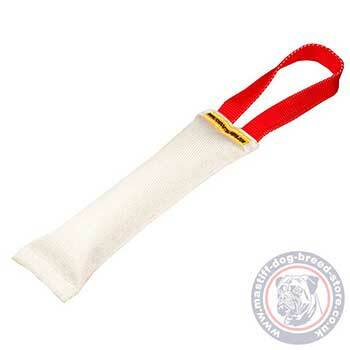 Fire hose dog tug “Extra Incentive” is made of extra-strong material, used for fire hoses production. 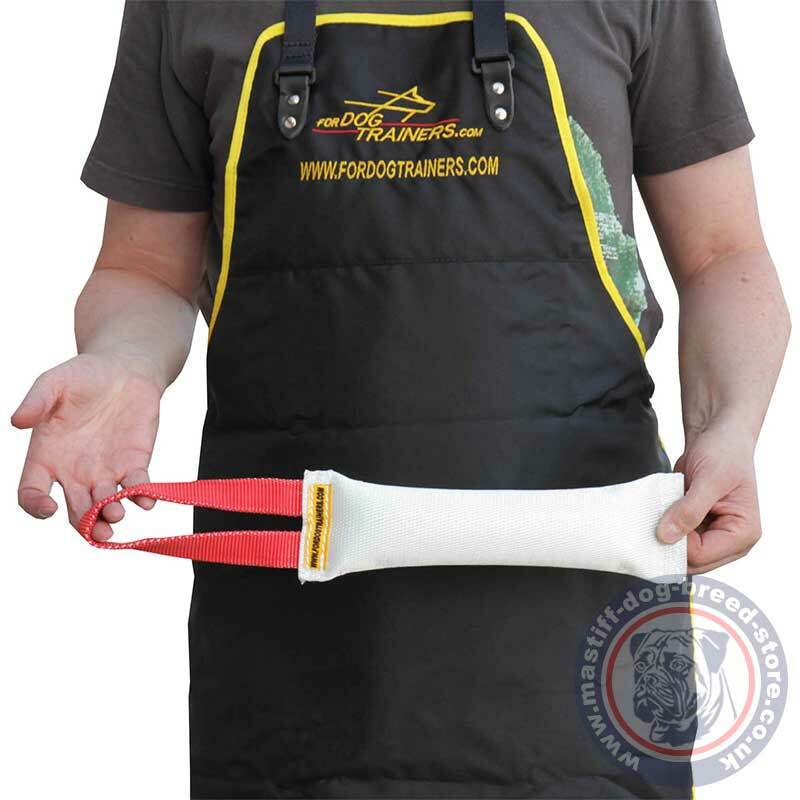 Dog tug toy for mastiff training is lasting, dogs’ teeth resistant and completely safe. 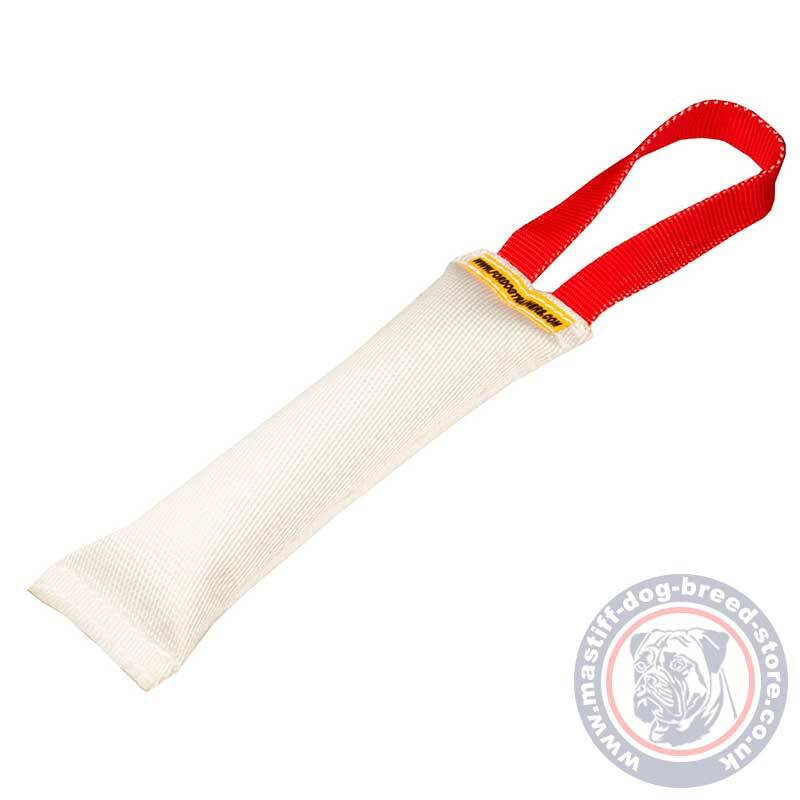 A fire hose dog tug is used for your puppy’s or young dog’s sports skills development, in training, as a fetching instrument, or a motivation toy for your pet’s encouragement. At the initial stage a dog learns to catch a dog tug toy and to fetch it when you command. This is the best product if you are sick of replacing your dogs other tug toys. My dog, Ben (8 months old but weighs over 30kg) and I play tug daily as part of his obedience training, and this toy has withstood the worst punishment. Ben not only bites down hard, he also shakes his head and tugs hard, and this toy does not have one puncture or tear in it. We have had it now for a few months. Thank you so much for creating such a hardy product. I will be back to buy some more soon.